Urbanization is one of the world’s most significant mega-trends. It sits alongside the trend of increased personal mobility and the related tectonic shift in the automobile ecosystem. According to the World Health Organization’s Global Health Observatory data, the urban population stood at 54% of the global population. It is estimated to be 66% of world population by 2050. Given global population growth during that time, this represents an incremental 2.2 billion people who will be vying for transport of some sort in already congested cities. With the advent of multiple urban mobility services, from taxis, to Uber, to Zipcar, to Scoot and a proliferation of local urban transportation modes, as well as sustainable modes of transport (e.g. biking, walking) to connect the ever growing and expanding urban and suburban population. It has become imperative for mapping platforms to evolve into much more seamless, smarter and contextual solutions. HERE is a leader in the location, mapping and navigation sector has announced its latest offering for consumers, “HERE WeGo“. The HERE WeGo platform is designed to exactly solve the key pain points of the highly-mobile, modern, urban consumer. Consumers are increasingly dependent on different apps on their smart devices from maps for navigation, search for Points of Interest, POIs, to multiple, usually siloed apps for transportation services used variously for location, planning and/or booking. HERE WeGo aims to integrate some of these elements into a single application. HERE WeGo platform enables “smart travel” to help the user plan an entire trip from selecting between alternative modes of transportation, to comparing costs, duration and conditions of travel – even helping with optimizing the time to travel. The HERE WeGo app aims to provide a relatively seamless solution for users to address all the location based search, navigation needs without leaving the app. HERE’s offline mapping navigation capabilities also makes HERE WeGo cost effective and efficient – especially when data connectivity is not guaranteed. 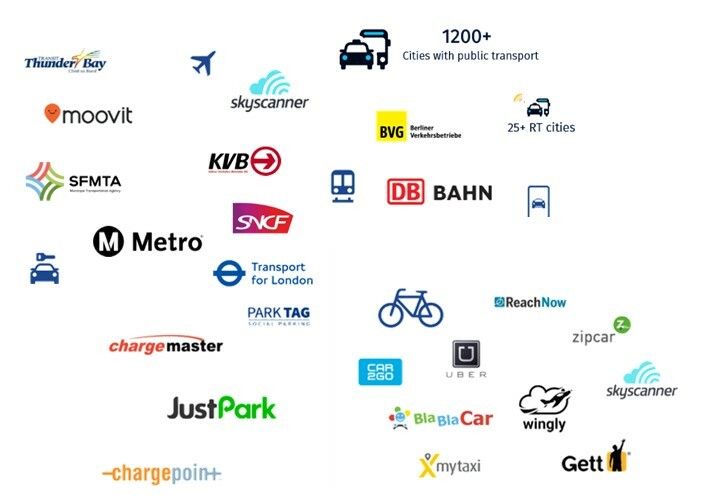 The HERE WeGo platform is based on a partnership model, integrating the location content, pricing algorithms, timetables and transit routes from thousands of private to public service providers with HERE’s industry-leading mapping and navigation platform. This will address use-cases from searching and planning to booking and fulfilment, in real-time, per the user’s selections – potentially guided by data analytics recommendations of optimum route, service and mode of transport. This is good timing for HERE to upgrade its mapping platform, making it a more complete and effortless solution as the “on-demand” economy heats up. 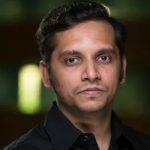 HERE’s acquisition of data analytics engine Medio will be critical in making the platform smarter by employing machine learning to analyse user behavior so recommendations can become dynamic in driven by actual conditions and context. HERE’s existing app has been one of the preferred mapping and navigation apps on iOS and Android with around 25 million MAUs. However scaling to the level of Google Maps and Apple Maps will be key here. Spreading the word via partners will be critical for HERE WeGo to scale. Furthermore, HERE could also extend this platform in via B2B and B2B2C deals, either with other leading social apps or in the automotive segment, where the HERE location platform dominates. As the platform matures and scales, HERE can look into different possible business models to generate additional revenues, such as sponsored location based POIs, or shared revenue structures for enabling the partners’ services. To summarize, HERE WeGo is a currently unique, open and high potential location based mapping and navigation platform to empower the urban consumer to effortlessly and smartly navigate.